A unique donation from an AirBnB came into the warehouse this week. 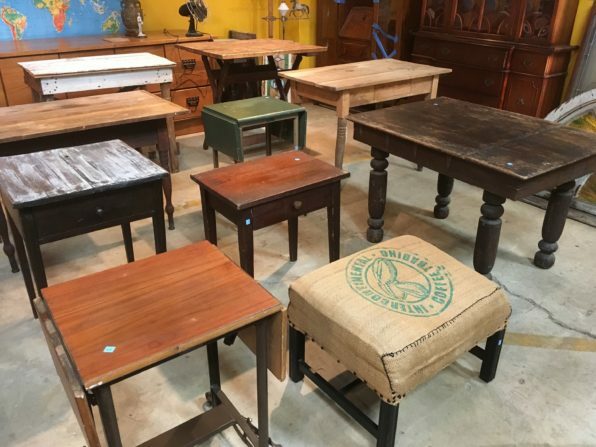 Tables pictured range from $36 – $199. Please note: This flash sale does not include select specialty items, items from our consignment partners, or items listed online. Items with missing or damaged price tags will not be sold. Flash sales may not be combined with other sales or promotions. A long weekend is a great chance to get a lot done around the house or to enjoy some shopping. So we’re glad to help with our big sale. 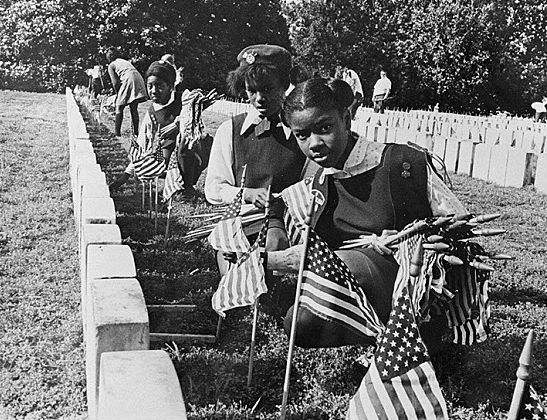 However, we don’t want to forget the reason for the holiday: to remember those who gave their lives in service to our country. So if you visit us this weekend, you might also want to visit a group of memorials that are located just a few minutes away. Within walking distance of each other, you can find three memorials honoring those who died in World War II, the Korean and Vietnam Wars, and the War of 1812. 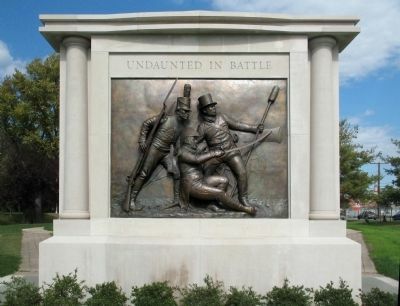 The most recently constructed of the three is the Undaunted in Battle Bladensburg War Memorial, at the intersection of Bladensburg Road (U.S. 450) and Baltimore Avenue (U.S. 1) . Click here for a map. There is quite a gripping story behind the War of 1812 battle that this memorial commemorates! The monument depicts Commodore Joshua Barney of the U.S. Navy a moment after being wounded by approaching British troops. He is assisted by Charles Ball, a former slave and flotillaman of the U.S. Navy, and by a U.S. Marine, part of a force of nearly 500 troops who refused to retreat until ordered to by their commander. Although they were outnumbered and outgunned, they were able to hold off the British for two hours, giving citizens and leaders in Washington the opportunity to flee and save official documents like the Declaration of Independence and the U.S. Constitution. Not only that, but the Star Spangled Banner was composed as a result of this battle. Here at the Forklift, we also have a personal connection to this memorial – it was sculpted by local artist Joanna Blake, who died on May 27, 2016. She also worked on the National World War II Memorial in D.C. In her spare time she volunteered for the local community development corporation, and would hunt for treasures at Community Forklift. She was incredibly creative – we remember a beautiful play kitchen she built for her daughter out of salvaged cabinets. No matter how you choose to spend your time this Memorial Day weekend, be sure to take a moment to honor and remember those who made the ultimate sacrifice for our country.